Connie Prince Digital Scrapbooking News: Monday Winner, Sales and a Freebie! Monday Winner, Sales and a Freebie! Congrats to Karen PG! You won last week's blog game! Connie will be sending you a coupon! Come and play our blog game every Wednesday! Did you enjoy DSD weekend? Connie's Sales are still available until the 12th! Go shop at Gingerscraps, the Digichick and Connie's guest store, Digital Scrapbooking Studio and My Memories. Don't forget about Connie's 2 new grab bags! 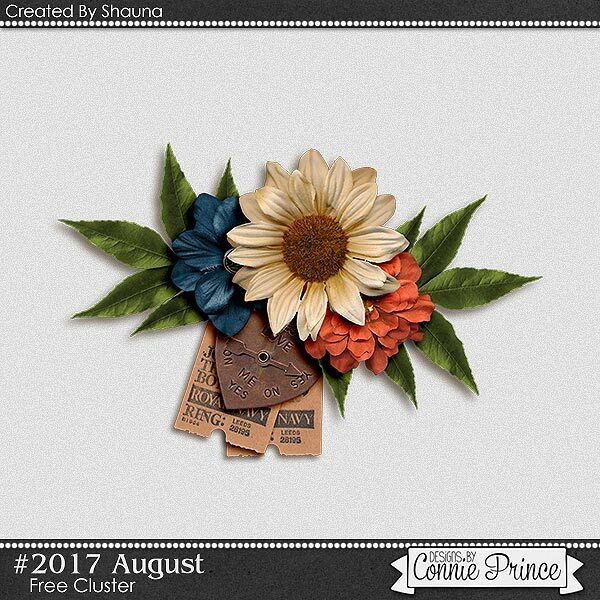 Get this grab bag at Gingerscraps, The Digichick and Digital Scrapbooking Studio. Shop at Gingerscraps, The Digichick and the Digital Scrapbooking Studio. Shauna made an awesome cluster for you! A very nice cluster, sorry I missed it. can you please fix the link?